There are so many different activities to do in Escalante and nearby, and not all include hiking either. Believe it or not, near this seemingly desolate desert, there are lots of lakes and rivers to fish up above in the surrounding mountains! Not only that, but it is considered some of the best fishing in the area. Here are some of the top places to go fishing while visiting Escalante. Located about 2 hours from Escalante this stunning timbered plateau is one of the highest in North America as well as part of the beautiful Dixie National Forest. Depending on a yearly basis there can be up to 80 different lakes and ponds to fish. Anyone that has been to the Boulder Mountains will tell you that there are plenty of BIG fish to catch. 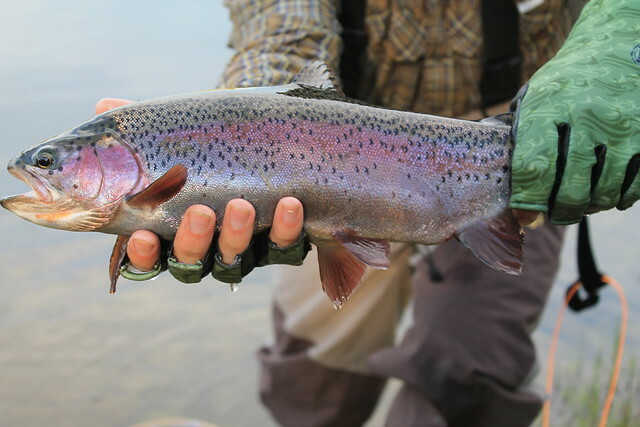 The fish species here ranges from brown trout, cutthroat, rainbow and brook. The best way to approach a trip to these lakes is to speak with the tour guides and fishing shops in nearby Boulder, Utah. The reasoning for this is to get information on how to access these lakes, as many of them are difficult to drive to and do require four-wheel drive. Make sure to wear warm and light clothes even in the mid-summer months as it can still snow atop this mountain especially during the monsoon rains. Do some research and head out into the wilderness to experience some of the most fun and thrilling fishing. 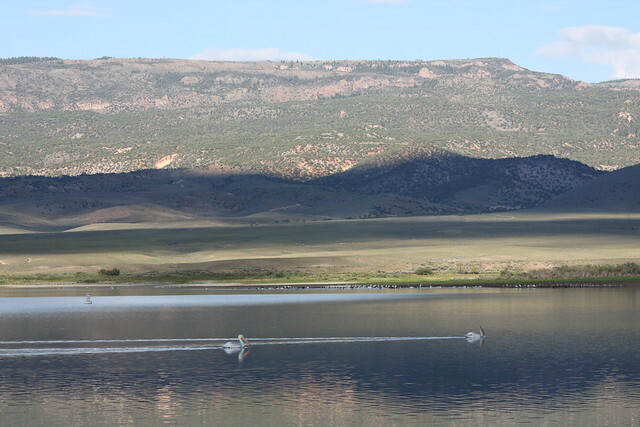 Located on Boulder Mountain is Aquarius Plateau, one of the most stunning and captivating scenic places to fish. 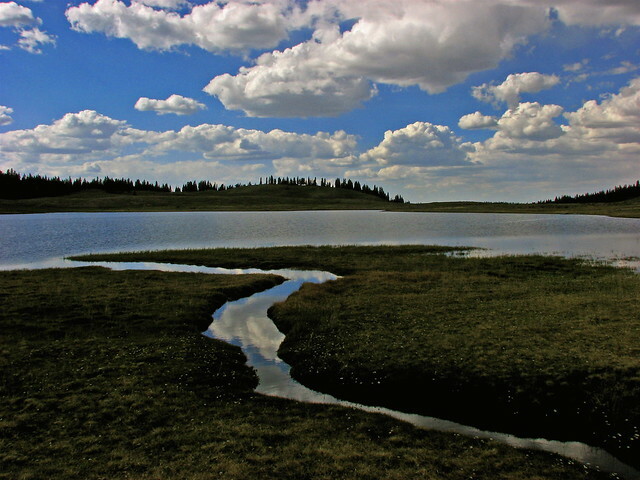 This makes up about half of the lakes, ponds and streams of Boulder Mountain. In this area, most of the lakes are located fairly close to roads, making hiking to even the most remote lakes only about a 3-mile excursion. Also, most of the lakes are grouped, so you won’t be stuck in one location (which is nice if the fish in that are are not biting), you can easily hike to a separate lake and try your skills there. Wear appropriate clothing and shoes here, and prepare to climb over boulder to get to your desired locations (hence the name “Boulder Mountain). 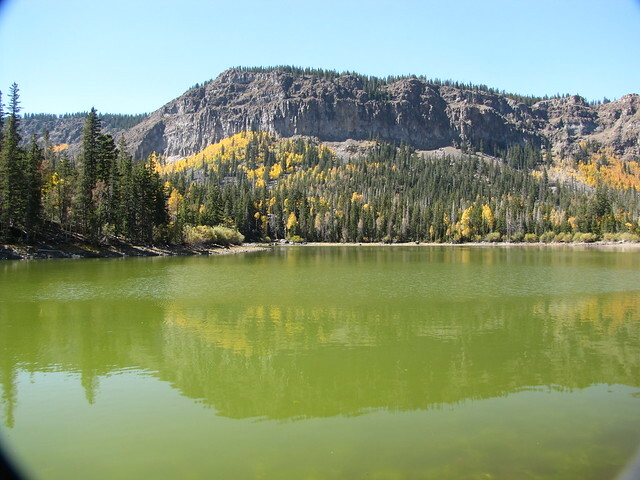 The “trophy” lakes are located under the steep drop offs of the plateau and are surrounded by beautiful pines and aspen trees that get quite dense, and traveling the roads directly to the lakes are near impossible as they are very unmaintained. Although the trek to these lakes are a bit more difficult, it is well worth it once you catch that trophy size trout! This name is a big one as it is well known for its production of trophy sized trout. In the perfect conditions during the better seasons, this place literally pumps out thousands of pounds of trout every year! During the spring and fall months this is the perfect shore fishing area since the trout like to stay in the more shallow waters to feed. Wanting to fish in the winter months? You’re in for a treat! Otter Creek is one of the top reservoirs for ice fishing as well! This lake literally gives you all the opportunity to test your fishing skills! So if you’re in Escalante and are looking to get some good, fun and relaxing fishing in, be sure to check these places out! Don’t be afraid to talk to the local fishing shops and tour guides for more information to help you get a better idea of what to expect. Have fun and be safe!